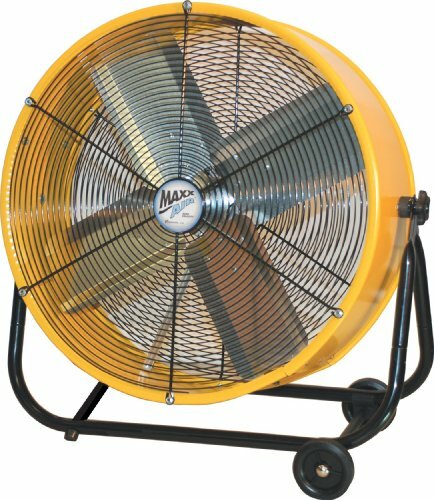 B-Air FIRTANA-20X High Velocity Electric Industrial and Home Floor Fan, 20"
WIND TO KEEP YOU COOL - Whether you're working with machinery in a large shop, warehouse, or winding down after work outdoor on your patio enjoying a drink, our 20-inch fan will meet your cooling needs. 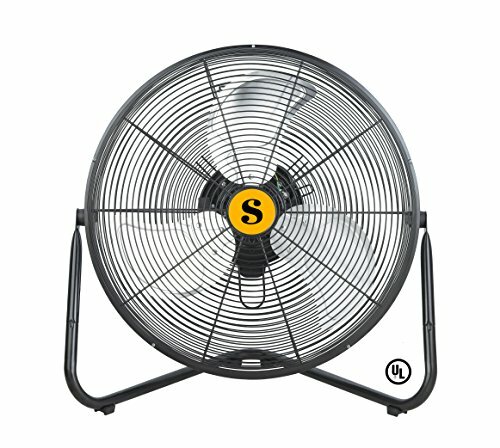 POWERFUL - Our fans will help you get through those hot summer days where you need real air flow when those heat waves hit. Great for those that like loud white noise while sleeping. VERSATILE - 3 speed settings, tilt adjustable, portable handle, and UL certification to keep you safe. Keep it on the floor or hang it on the wall in your kitchen to circulate the hot air out. STRONG AND STURDY - All metal heavy duty housing that is easy to assemble and take apart for easy and convenient maintenance. Small grid spacing to keep out accidental fingers and paws from getting in. WARRANTY - 1 year Warranty. At B-Air, we engineer quality, durable, and reliable products. We stand by our products and hope you do too. 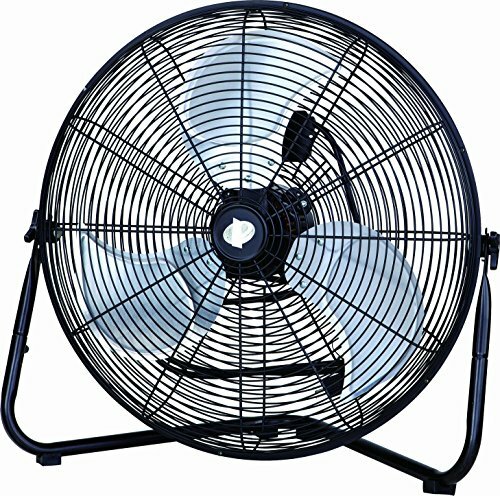 This 18-inch wall mount fan is a great choice for barns, workshops or garages. This fan can be wall-mounted or a hanging fan where floor space is limited, when overhead circulation is required and for harsh indoor environments. It features totally enclosed, dust proof, energy efficient PSC motor - 120 volt, 60Hz and 0.7 Amps. It has a 3-speed pull chain, rugged hanging bar and the fan head tilts 180 degrees. It is made of powder-coated steel, OSHA compliant rust resistant grilles and a 10-foot cord. Installing this MaxxAir HVWM18UPS High Velocity 18 inch Wall Mount Fan is easy. Along with the 18" fan head that tilts 180 degrees, this purchase includes a rugged hanging bar for quick setup and near immediate use. Soleaire has redefined how air movers and fans are produced with this MAX STORM. 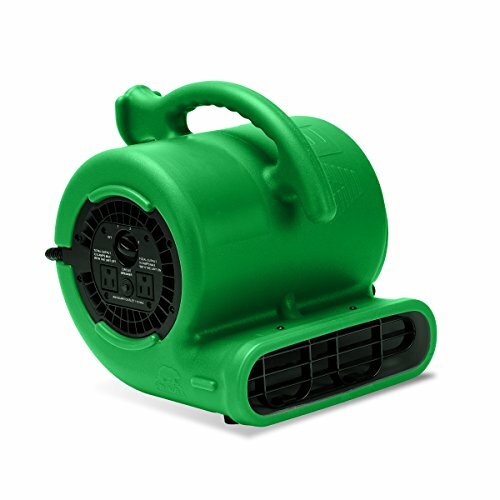 This blower is produced with a thoroughly durable Roto-molded polyethylene shell that can withstand all the abuse/use that is handed out in the environments that these are used in. They are lightweight, draw low amps, and move large volumes of air. When running a professional Janitorial or carpet cleaning business, you'll need multiple fans that can be left behind at a job and picked up later, for the ultimate in efficiency. Simply start a job in the morning and come back late in the afternoon to pick up your fans, and inspect the job. Leaving an individual's house with clean/dry carpets will make them a repeat customer for life! Features: Extremely efficient motor construction and air mover fan operation allow for extremely low amp draws on both speed settings. Blows air at 2 separate speed settings for customizable drying per job setting. 25' power cord easily winds around the cord wrap located on the top of the blower. 3 operating angles allow you to blow air across the ground, at a 45 Degree angle, and straight up into the air. HOUSEHOLD CLEANING SUPPLIES - You need soap, a bucket of water, a mop, and air blowers. 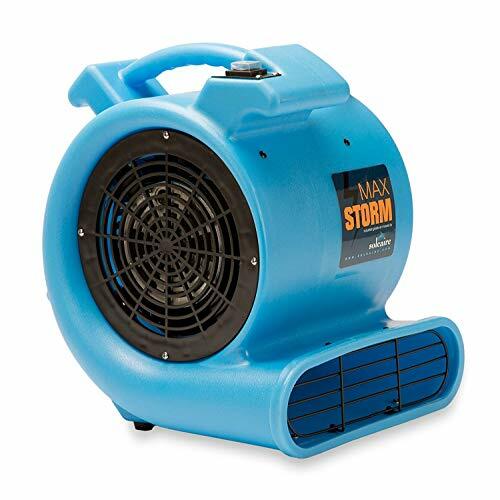 The Max Storm is a high velocity utility air mover with 2 speed settings to make sure the floor dries quickly so no one slips or wet paws leaving tracks. UTILITY - 3 operating angles allow you to blow air across the ground at 0, 45 and 90 degree angles. Comes in three standout colors blue, orange, and purple to make sure people proceed with caution. Perfect for home, garage, or a shop. EFFICIENT - 25 ft power cable easily winds around the cord wrap located on the top of the carpet air blower for convenient handling. Portable, compact housing at 16.5 W X 16 L X 19.5 H and only draws 5A at 115V 60HZ. WARRANTY - 1 year parts and labor and 5-year housing warranty. Designed with our heavy duty rotomold that is impact resistant. Warranty: 1 year, 5 years on housing. Powerful Air Circulation The 12 inch box fan is able to provide powerful cooling. The efficient motor and five blades enable air to move effectively and keep space well-ventilated. The combination of powerful motor and blades enhances cooling relief in large living or working areas. 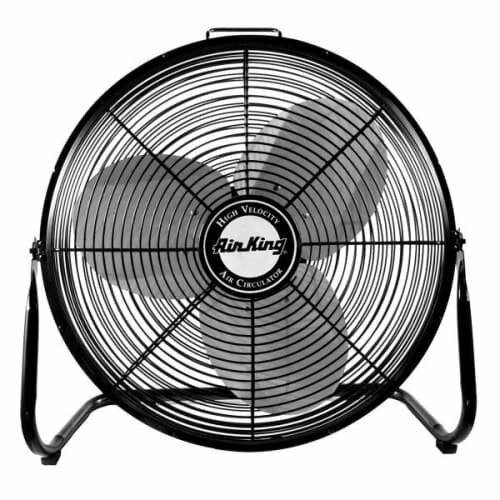 Our box fan is one of the most effective fans at overcoming summer heat or simply refreshing rooms. Deliver More Convenience To You This desk fan is fully assembled with a remote control and electronic push-buttons. It allows you to control time and power levels from far away. You can engage the 12-hour timer, all air speed settings and breeze modes without leaving the comfort of your chair or bed. 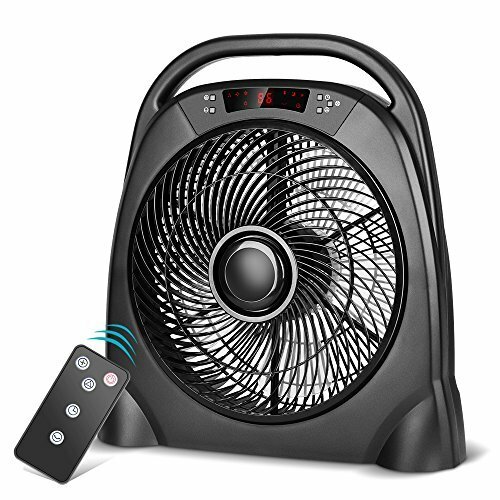 Extended-range remote control and fan controls of this box fan can be easily engaged and bring more convenience to your life. 3 Speed Levels & 3 Breeze Modes The speed of our portable fan can be adjusted to 3 different level. There are 3 modes of wind. Natural wind mode delivers cool breeze and refreshing feeling to you. Gentle wind will be delivered quietly to you by sleeping mode. This cooling fan will provide you comfortable temperature for sleeping. Normal mode will deliver powerful stream of air continuously. Our table top fan is powered by a rotating grill for maximum cooling effectiveness. Your room can be cooled down efficiently. Space Saving Design This portable box fan is a high quality and high performance power fan for home and office. The slim box design takes up less space than other power fans but still maintains high performance of offering relief from the hot weather. The smart and compact design allows it to be placed anywhere on the floor or on any flat surface. Trapezoidal shape of the body makes it stable and not easy to rollover. This box fan weights only around 5 lbs for easy moving or transporting. SIT BACK AND CONTROL IT Table fan is an effective tool to help you overcome summer heat and cool down quickly in the hot summer days. This box table fan is assembled with LED display screen, electronic push-button and a large carrying handle. It is easy to be moved around and more convenience can be delivered by the remote control. You can use it to adjust your settings from far away. Just sit back and set the modes and operating time to what you want. HAVE A PEACEFUL SLEEP There is a timer on this table fan so that you do not need to get up in the midnight to switch it off. The operating time can be set up to 12 hours' long. You can use this function to adjust the operating time and have a relaxing sleep. Room temperature will be displayed on the screen and you can program the adjustable timer to a suitable number of hours. Sweet dreams and peaceful sleep can be achieved with the help of our bedside table fan. SELECT YOUR LEVEL OF COMFORT 3 different speed settings of this remote control fan and you can adjust the speed of airflow to your preferred level of comfort. Moreover, there are 3 modes of wind. You can choose from cool breeze, refreshing wind and more powerful stream of air. The gentle wind of night will provide you a comfortable temperature for sleeping without causing you to catch a cold while the powerful mode will cool you down quickly. POWERFUL BUT QUIET OPERATION 5 curved blades made with unique cutting process in our portable fan. This revolutionary technology allows wind to flow more smoothly and fast. Unlike traditional fans, aerodynamic design of this box fan can reduce the noise of oscillation. You will hear a whispering sound when it is operating at a high speed and the sound diminishes to zero when it is operating at a low speed. Quiet operation makes it perfect to use while sleeping. EFFICIENT ROTATING GRILL Our box fan is equipped with a rotating grill and five blades. The rotating grill can cool down the air faster and more efficiently. Wider area can be covered and it helps disperse air throughout the whole room. It increases the speed of airflow and circulate all the air in the room. This circulating feature enables the air flows faster and creates pleasant experience. Our table fan is a perfect choice for cooling relief in large living area. 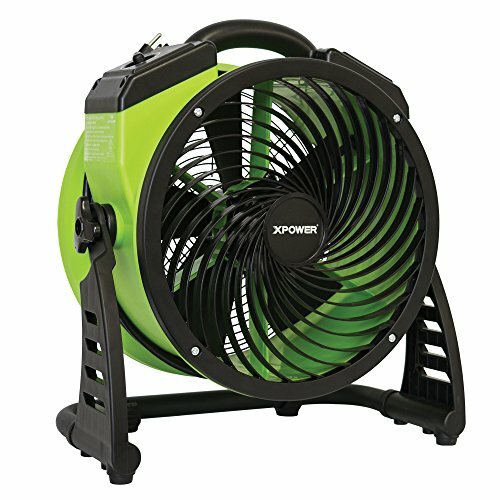 The XPOWER FC-200 Professional Grade Air Circulator Utility Fan is a multi-purpose fan suitable for ventilating spaces where fresh air is lacking (confined work spaces, attics, basements and garages). The FC-200 comes ETL / CETL safety certified with advanced manufacturing technology that includes signature XPOWER features like 4-speed operating switch for maximized airflow control, 3-hour Set-N-Forget timer, lightweight durable housing, and a rugged rack / stand for 360 degree rotational angle. The unique grill design quietly delivers air volume upwards to 1300 CFM while only drawing 1 Amp. 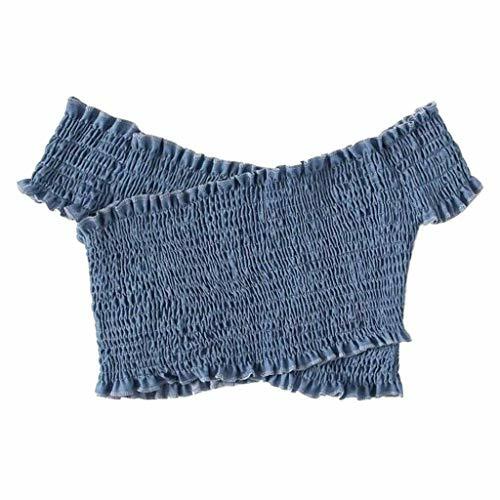 This multi-purpose fan is designed with advanced air fin guide technology will provide the multidirectional air movement required to efficiently dry carpets, floors, walls, and ceilings. A 6 foot Heavy-Duty Wrap-Around-Cord Design and Grab-N-Go Handle make transporting this compact utility fan an easy task. The FC-200 is made with durable injection molded polypropylene housing and can be stacked up to 6 units high. MULTIPLE FUNCTIONS - 4 adjustable speeds for what you need. 3-hour Set-N-Forget Timer to put you at ease. Grab-N-Go Handle to transport with glee. Sleep at night with a breeze, focus A/C into another room, cool your drummer off at the show-your imagination is the limit! Brand: XPOWER | Manufacturer: XPOWER Manufacture, Inc.
Warranty: Manufacturer's 1-year limited warranty. 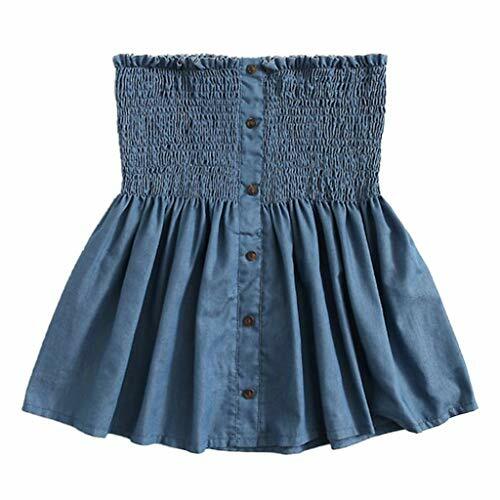 ( ' ' )Welcome to Euone , may you have a pleasant shopping experience! If you have any problems about our products, please feel free to contact us at any time, we will try our best to help you, thanks in advance! 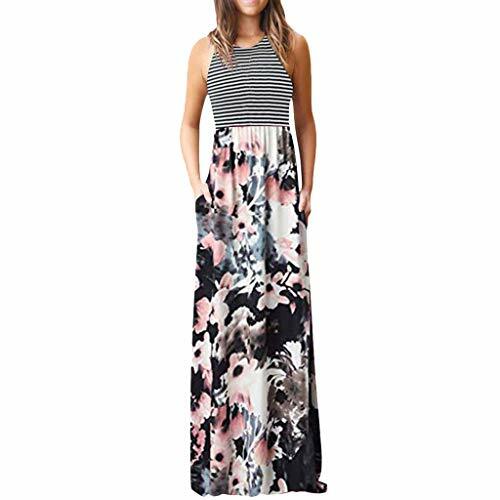 Size: S US: 6 UK: 10 EU: 36 Bust: 92cm/36.2" Waist: 86~96cm/33.9~37.9" Length: 131cm/51.6"
Size: M US: 8 UK: 12 EU: 38 Bust: 98cm/38.5" Waist: 102~112cm/40.2~44.2" Length: 132cm/52.0"
Size: L US: 10 UK: 14 EU: 40 Bust: 104cm/40.9" Waist: 108~118cm/42.5~46.5" Length: 133cm/52.4"
Size: XL US: 12 UK: 16 EU: 42 Bust: 110cm/43.3" Waist: 114~124cm/44.9~48.9" Length: 134cm/52.8"
Features: Extremely versatile and packed by two boxes, protect the fan very well. Excellent choice for use in homes, garages and basements. Power cord with fuse, more safety, not only commercial used but also home used. 3 Speed comfort control delivers varying degrees of air movement. Industrial grade all metal construction performs well in residential as well as commercial applications. Color: Black. Product Type: Floor. Adjustable Fans: Yes. Style: Traditional. Air flow: 5828 CFM. Wattage: H:165 M:139 L:122 . Overall Height - Top to Bottom: 22.6". Overall Width - Side to Side: 24.1". Overall Depth - Front to Back: 5.9". Cord Length: 6ft. Overall Product Weight: 11.5 lbs. Blade Diameter - Side to Side: 20". Excellent choice for use in homes, garages and basements. Power cord with fuse, more safety, not only commercial used but also home used. Powerful Mini Air Mover to dry wet carpets and floor and can be used as a floor fan. POWER AND EFFICIENCY - 380 CFM High Velocity Airflow by using only 0.75 amps while being one of the smallest drying fans in the industry!! VERSATILE - Utility focused design floor drying fan with 3 different angles (0 , 45 & 90 ) that lets you point a blast of cool air right where you need it. COMPACT - Rotationally molded polyethylene housing featuring 10' long power cord with built-in cord wrapper on top. 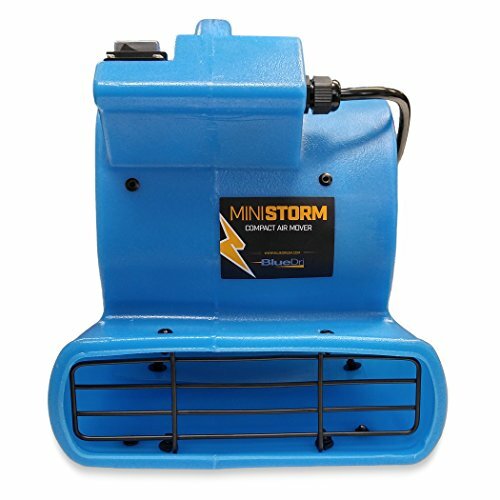 PORTABLE - Weighing merely 6 lbs, the Mini Storm can be carried around homes, garages, workshops, and construction sites with ease. WARRANTY - Our product is designed with a heavy duty roto-mold technology that we guarantee with a 2-year warranty and a 5-year housing Warranty. Welcome to Euone , may you have a pleasant shopping experience! If you have any problems about our products, please feel free to contact us at any time, we will try our best to help you, thanks in advance! 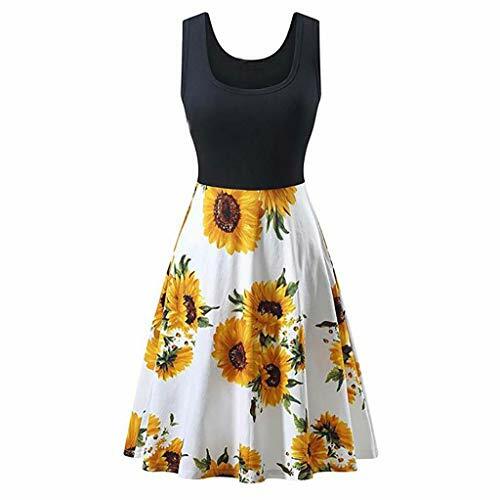 Size: S Bust: 64-84cm/25.19-33.07" Length: 44cm/17.32"
Size: M Bust: 68-88cm/26.77-34.64" Length: 45cm/17.71"
Size: L Bust: 72-92cm/28.34-36.22" Length: 46cm/18.11"
Size: XL Bust: 76-96cm/29.92-37.79" Length: 47cm/18..50"
Size: M US: 6 UK: 8 EU: 36 Bust: 96cm/37.8'' Length: 111CM/43.7" Waist: 88CM/34.6"
Size: L US: 8 UK: 10 EU: 38 Bust: 102CM/40.2" Length: 112CM/44.1" Waist: 94CM/37.0""
Size: XL US: 10 UK: 12 EU: 40 Bust: 108CM/42.5" Length: 113CM/44.5" Waist: 100CM/39.4"
Size: XXL US: 12 UK: 14 EU: 42 Bust: 114CM/44.9" Length: 144CM/44.9" Waist: 106CM/41.7"